In May 1943, a young pregnant Frenchwoman called Lucie Aubrac engineered the escape of her husband Raymond from the clutches of Klaus Barbie, the feared Gestapo chief later known as the ‘Butcher of Lyon’. In July, she defied Barbie again, ambushing the prison vans in which members of the French Resistance were being driven to an almost certain death. Spirited out of France by the RAF at the end of 1943, nine months pregnant, she arrived in London a heroine. After the war, Lucie and Raymond Aubrac became a celebrity couple: writing and lecturing on their wartime experiences, they both incarnated and kept alive for a younger generation the spirit of la vraie France – the France which had resisted, and eventually expelled, the Nazi occupier. In 1983, when both Aubracs had retired, Klaus Barbie was extradited from Bolivia and put on trial in Lyon for crimes against humanity. In a 63-page ‘testament’ submitted to the judge, Barbie claimed that the Aubracs had been ‘turned’ in 1943, become Gestapo informers and betrayed their comrades. The French press and the couple themselves furiously denounced this ‘slander’, but as worrying inconsistencies emerged in the tales the Aubracs had been telling ever since 1945, doubts emerged and have never quite gone away. 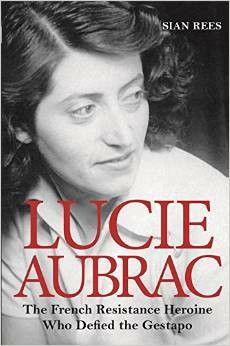 Who was Lucie Aubrac? What did she really do in 1943? And was she really the spirit of la vraie France, or a woman who could not resist casting herself as a heroine, whatever the cost to the truth? "The daring exploits of the Resistance heroine who twice rescued her lover from the Nazis." "...a calm, judicious and gripping account of these tangled events." " refreshing addition to World War II literature." "This is a thrilling story of cloaks and daggers, informers and collaborators, truth and fabrications." 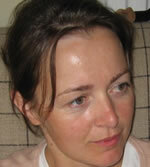 "Rees provides a well-researched....generally well-written tribute to the Aubracs."